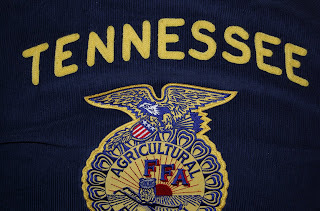 This past week was the 80th Annual Tennessee FFA State Convention! John David and I were both convention staff in Communications so we were there Friday until Wednesday! Convention was really great! We both stayed busy while we were there because we had jobs to do! 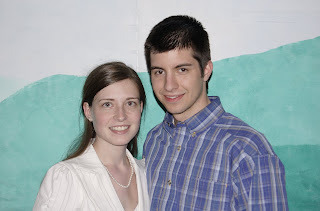 In addition to my convention work I also covered an event for Co-op! A view of our convention hall…I just love it! 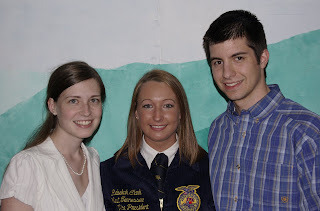 Katelyn, Joseph, and Me introducing Rebekah for her retiring address, Too Prideful! Rebekah did an amazing job on her retiring address!! 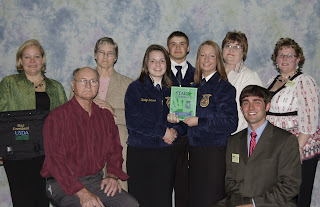 Katelyn was named State Star Greenhand (which is a pretty big deal!) 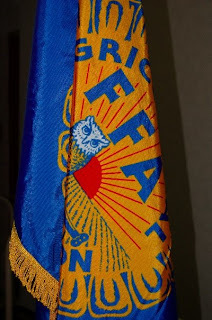 I am so excited that both Katelyn and Jospeh have gotten involved and love FFA as much as Rebekah, John David, and I do! 2 West Tennessee Vice Presidents and an East Tennessee Vice President…we have decided Rebekah has to marry a Vice President!! 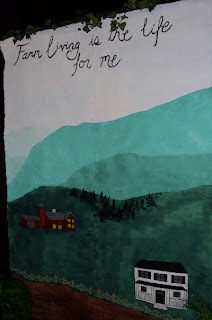 I just love this..farm living is the life for me!! 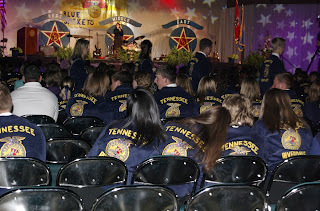 State convention was a blur to say the least…that is why I am letting the pictures tell the story! !